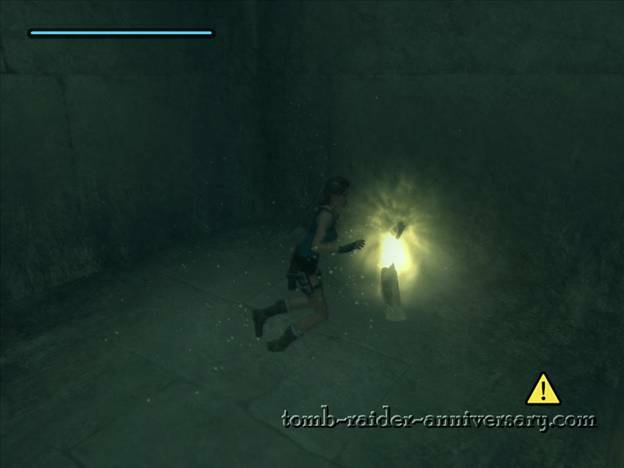 When you got to the second statue and you can access the box, get to it. 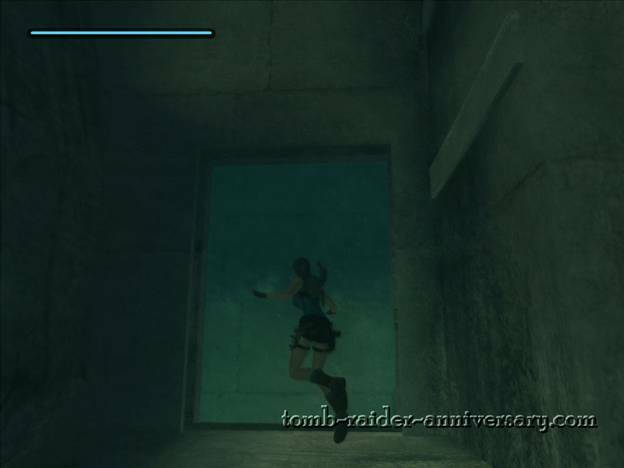 Push the box into the water. 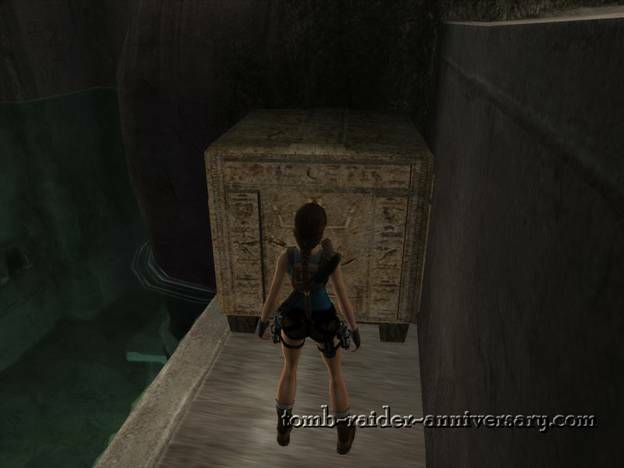 Push the lever between the two statues again so the lower part is dried out and move the box close to the edge so you can climb up quickly. 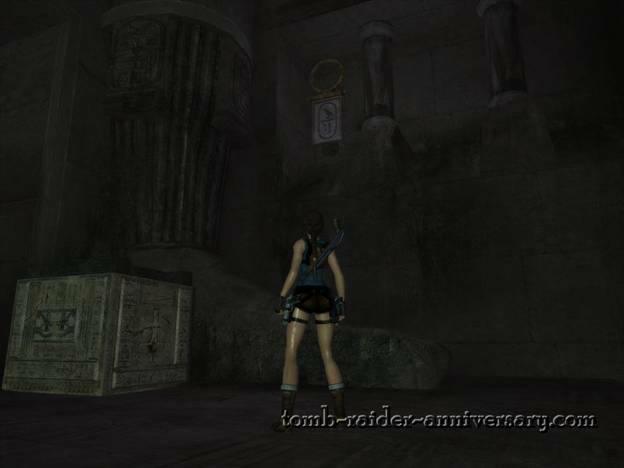 Now get to the ankh symbol (again) and the grates will open (again, but this time you won't have to swim, but jump inside). 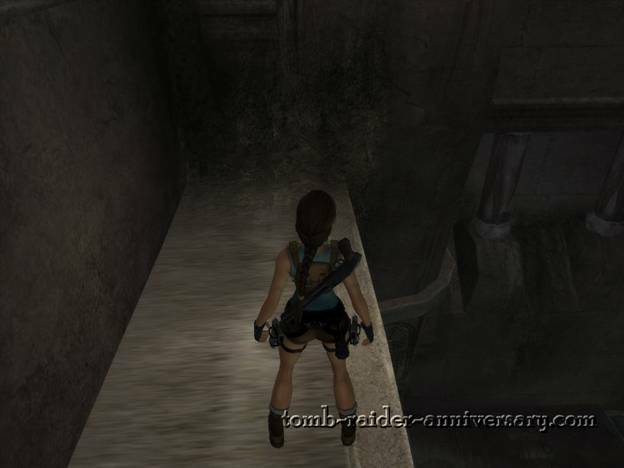 Get to the upper part using the ledges on the wall. 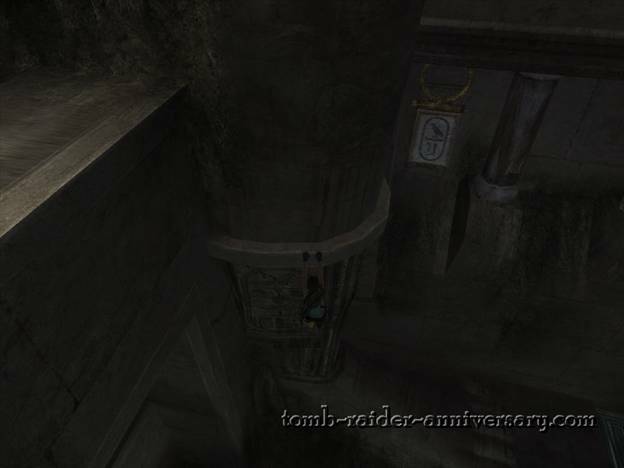 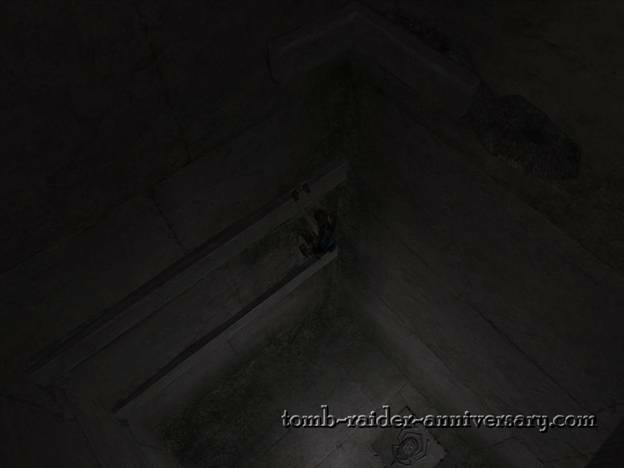 Use Alt to drop down and grab the edge, move to the right side and drop again, Lara should grab the next ledge as well. 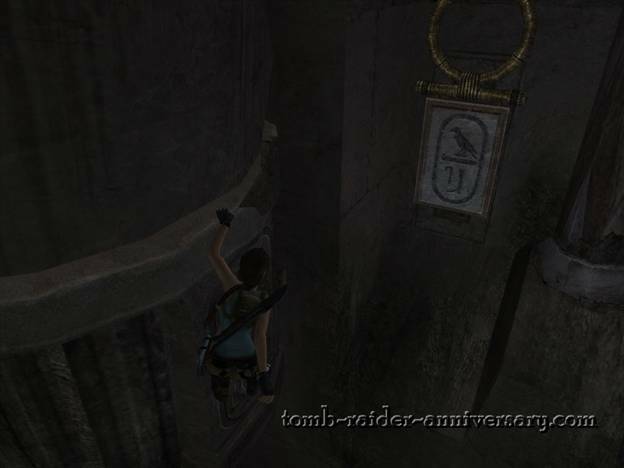 When you get to the end jump and grab the second ankh symbol. 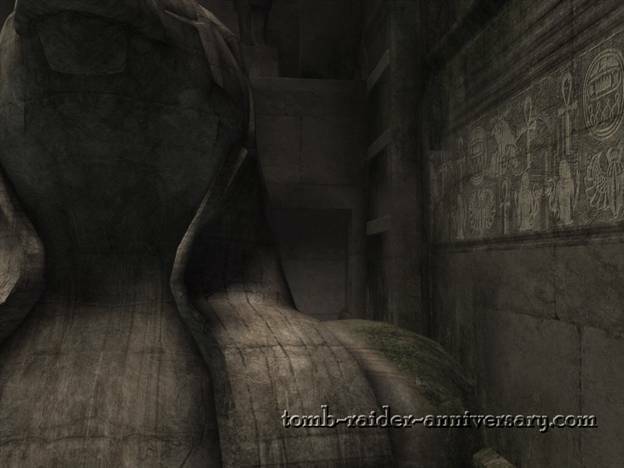 A secret door will open on top of the statue. 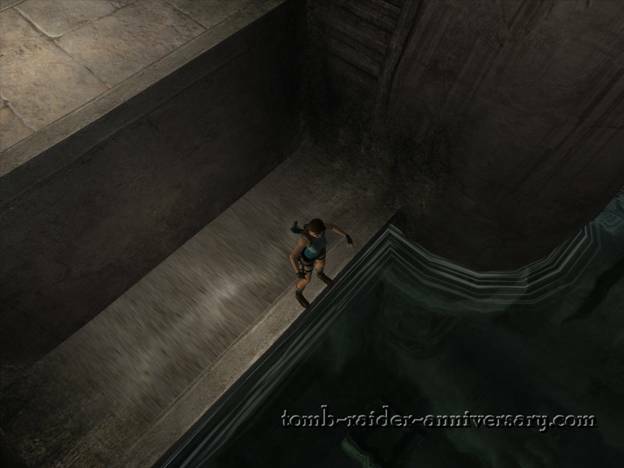 After you flood the whole room at the end of the level, jump back into the water and go through the hole. 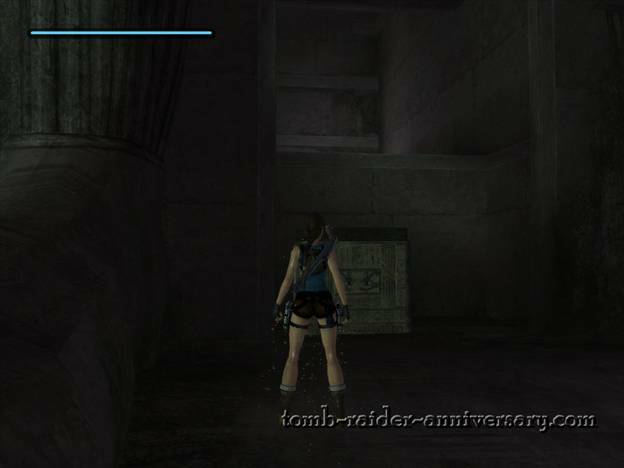 Inside you'll find the Horus Idol relic.